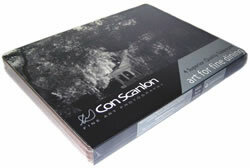 Based on the photographs of Con Scanlon, this fine art tableware is 100% Irish made and comes with a selection of printed images which will grace any dining/conference table. 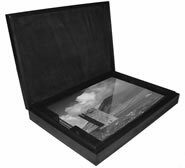 Both the placemats and the coasters are also available in a special collector’s presentation box (priced separately). You can select the images you wish to have on the placemats/coasters. The images you require can be selected from any landscape style photograph in our Open Edition Gallery (because placemats are designed in landscape format, only landscape images are suitable for this selection). The sets can comprise identical images or a mixture as required.